Classic! Pure Warenski. This exhibition of his many art forms validates this legend's world wide reputatiion. Julie's French Grey Engraving is superb as is her gold work throughout. 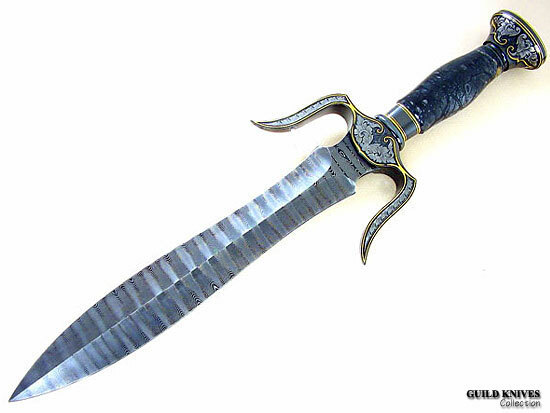 I believe that this Dagger was sold at the AKI about 4 years ago. Even Pablo would want to own this fine piece of art.